How to Customize the Search Page in WordPress? If you have a WordPress website and are looking for a more from your search options available on the website then this article is for you. It is possible to customize your search options in WordPress; which you will come to know in detail by the end of this article. All you need to do is to simply follow the steps mentioned here and you will end up with a good search form and even a good search results page. 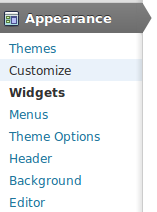 To start with login to the admin section of your WordPress website and navigate to Appearance >> Widgets from the admin menu. You will find a Widget called ‘Search’ amongst the many widgets that are displayed on the screen. You can drag this widget on to one of the sidebars in use. You can specify the title for the search form to be placed in the sidebar and click save to save the settings. Now preview your WordPress website in the browser and you will find the search form present on the browser. 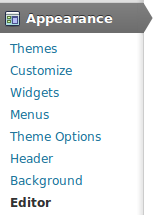 Again from the WordPress admin section select the menu option Appearance >> Editor. Here you will find a list of files on the right side of your screen. You need to look for the one with the title ‘Search Results’, which is the file with the name ‘search.php’. The file contains the template for the search results page. It is possible for you to change the template of this file from the top right corner of your screen. The default template would be your current template, although you are free to change the template of this individual file to suite your requirements. However if you wish to make the customizations yourself the page is also loaded in an editor on the left side of the screen upon selection. It is best to first make a backup of the file you are about to modify so that you have something to fall back too in case of an error. and replace the # with the number of posts of our choice. After you do make your required changes you need to save the file by hitting the ‘Update File’ button. The above might be just what you are looking for, however it is not very simple to do so and does some knowledge of programming. The instructions mentioned above are very specific and to the point and you could pull it off it you are slightly IT Savvy too. But if you are afraid of messing something and not sure you will be able to set it right it is best you leave this to the professional WordPress Web Developers like Alakmalak. Alakmalak is involved in WordPress Web Development since many years now and are very much capable of handling all of yours tasks. Building an IPhone Application Online vs Xcode Apps.